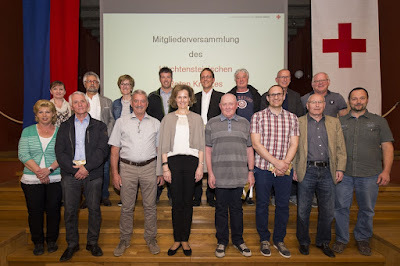 On Monday, Princess Nora attended a meeting of the Liechtenstein Olympic Committee (LOC), during which Isabel Fehr was chosen as the new president of the organization. The previous president, Leo Kranz, stepped down on April 23rd but was selected as an honorary member of the Liechtenstein committee during Monday's event. Princess Nora also gave a speech, commenting positively on the long-time hard work of LOC members. A little more information here. No photos of Nora at this time, but they'll be added if they're made available. On Saturday, Princess Margaretha was in Brussels to attend the Concours Reine Élisabeth, along with Queen Mathilde of the Belgians and her daughter Princess Elisabeth. This event, among the most prestigious music competitions in the world, features competitors for violin, piano, voice, and cello. (Previously, composers also competed, up until 2012.) Princess Margaretha was there for the piano finals. For previous attendances - and attendees - at the Concours Reine Élisabeth, see here on the blog. Remember our post from about a year ago? 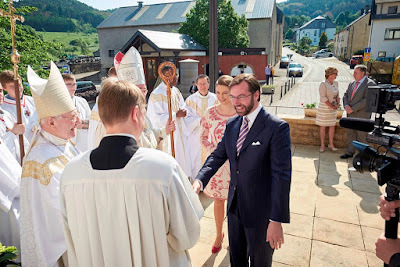 About Hereditary Grand Duke Guillaume, Prince Félix and Prince Louis, a.k.a. the "Brothers in Ties", wearing (and possibly sharing) the same tie? 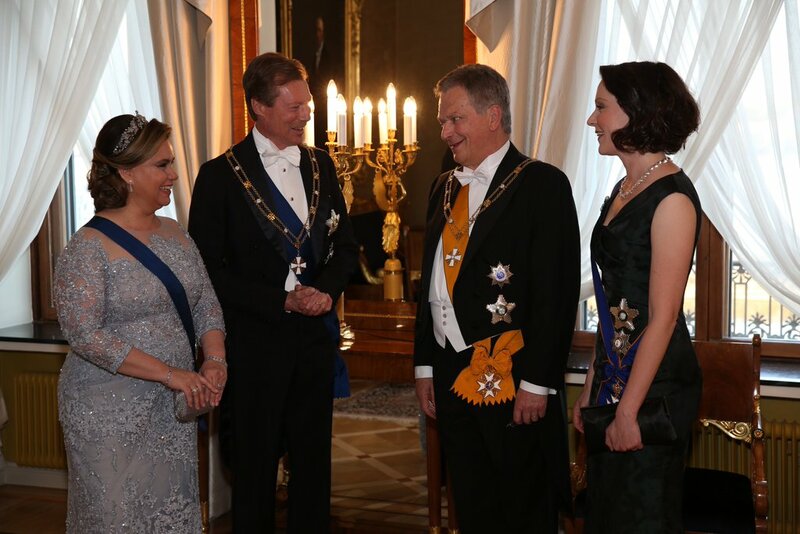 Well, we got a new member for brotherhood of the travelling tie: Grand Duke Henri himself! He sported the same Nassau-coloured as his sons did on previous occasions for his grandson Noah's communion this morning. 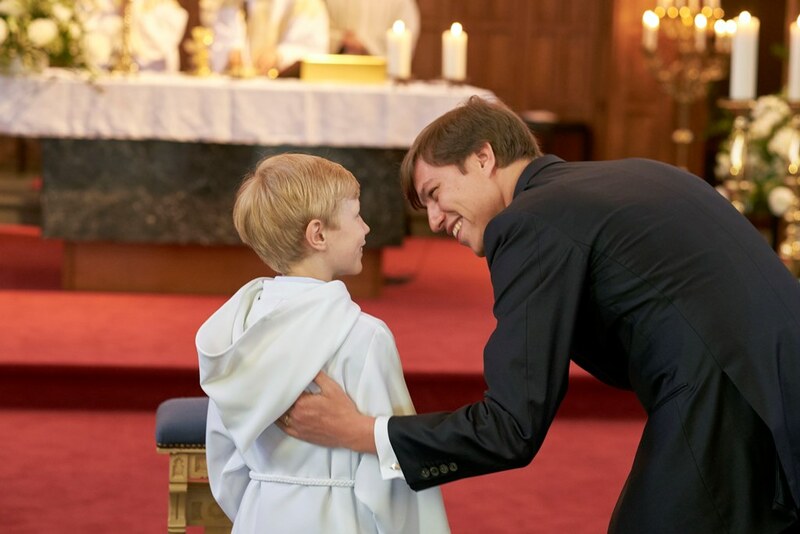 1) "Oh papa, you are wearing the same tie? Let me change into another one but I'll wear this one in the afternoon to change things up!" 2) "Oh papa, your tie really looks more Nassau than mine! Can I borrow your's for this afternoon?" 3) "Oh papa, some wine spilled over my tie, can I borrow your's for this afternoon? It also looks very Nassau-esque!" 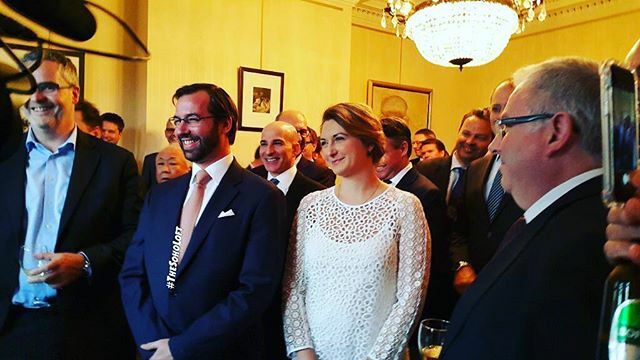 On Friday evening, Grand Duchess Maria Teresa attended an academic session the mark the 10th anniversary of Friendship Luxembourg. In 2002, Runa Khan was part of founding Friendship in Bangladesh, which focuses on supporting many of the poorest people living in that country. Then in 2004, the Grand Duchess visited Bangladesh, and the idea of a branch in Luxembourg was born. Friendship Luxembourg, founded in 2006, works to support the efforts of Friendship in Bangladesh by putting the same organizational values into practice. The guests from Germany was the Bürgergarde from the city of Weilburg, ancestral home of the Grand Ducal Family. The 'civil guard', a guard of honour, was founded on the occasion of the wedding of Duke Wilhelm of Nassau (1792-1839) and Princess Louise of Saxe-Hildburghausen (1794-1825), great-great-great-great-grandparents - I hope I haven't forgotten anyone - of the Hereditary Grand Duke. 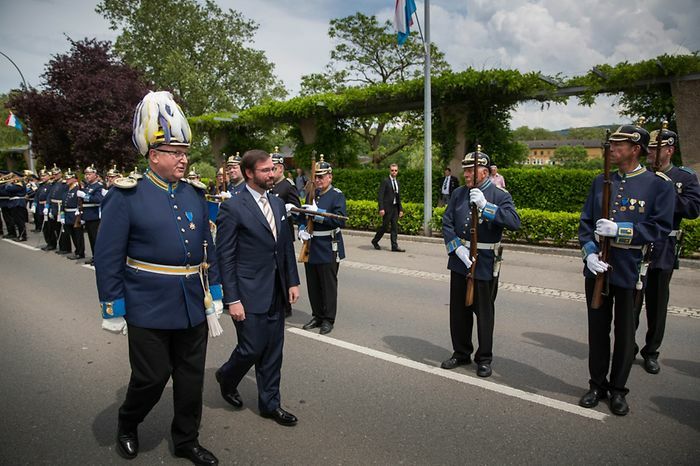 In Schengen, Hereditary Grand Duke Guillaume inspected the guard of honour from Weilburg and hopped on the MS Princesse Marie-Astrid together with his wife and several dignitaries to witness a ceremony to celebrate the 125th anniversary of the dynasty Weilburg-Nassau. 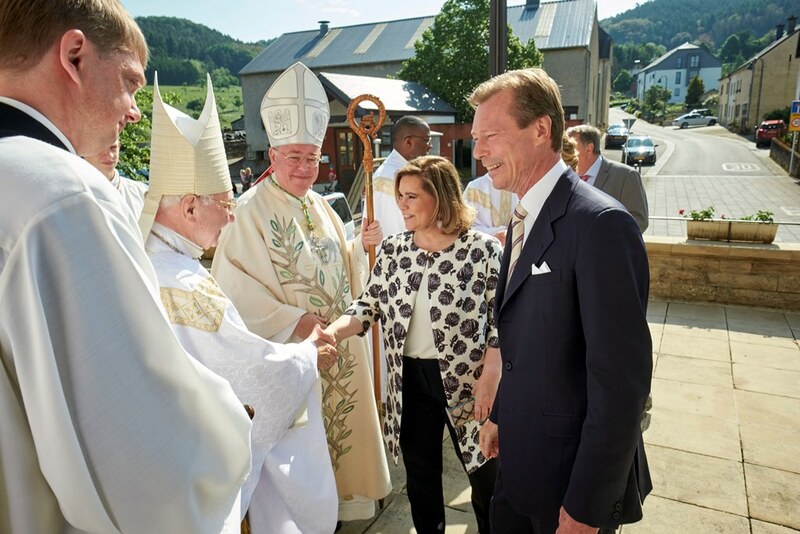 Afterwards, the Hereditary Grand Duke (who changed into one of his Nassau-coloured ties from this morning) and the Hereditary Grand Duchess (who wore the same dress by Temperley London) unveiled a memorial plague near a lime tree from Weilburg, which was planted last fall. 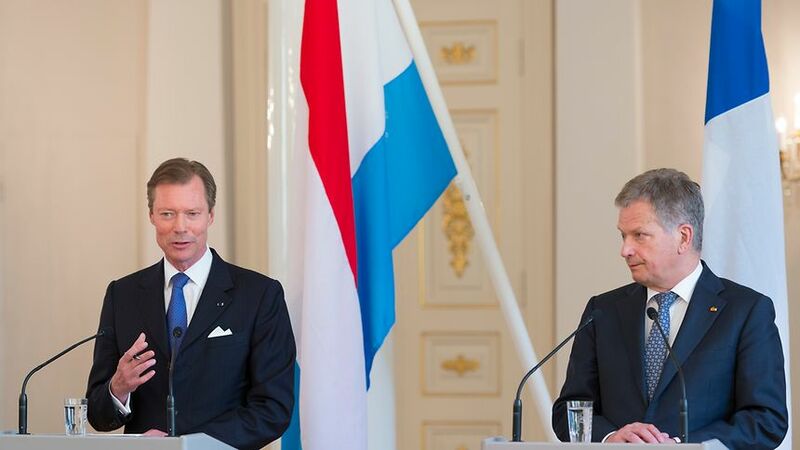 To round off the day, the grand ducal duo opened a travelling exhibition entitled "Dynastie Luxemburg-Nassau". The exhibition will be shown in 18 Luxembourgish municipalities and Weilburg over the coming months. Heaps of visuals of the event at RTL and Wort. RTL also has a video as does HR inluding a very short German interview with Guillaume and Stéphanie. 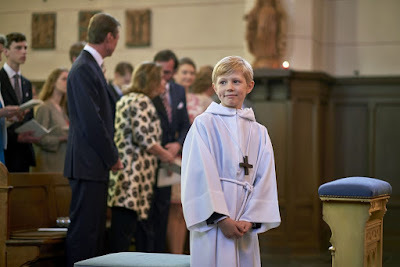 Prince Noah celebrated his first communion today and the cour released a few official photographs of the day. More information about all the things going on in our previous post. 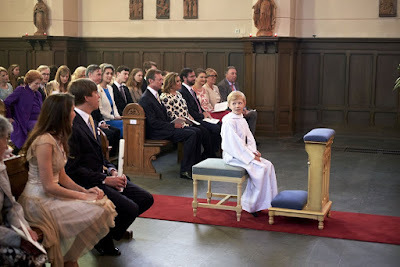 Looking at the pictures, it seems that Grand Duke Jean, Prince Félix and Princess Claire did not attend the celebrations, same goes for Archduke Carl-Christian and Archduchess Marie-Astrid - here's hoping everyone is well! All photos by: Cour grand-ducale / Olivier Polet. 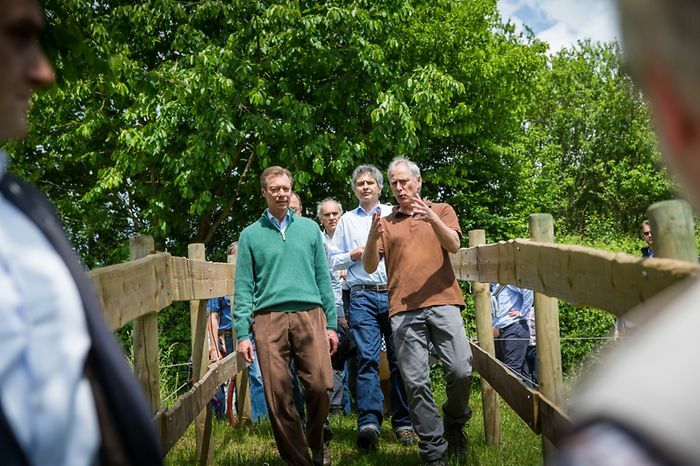 Today Grand Duke Henri was in Ettelbruck to visit the educational trail Ditgesbaach, as the patron of natur&ëmwelt Fondation Hëllef fir d'Natur. 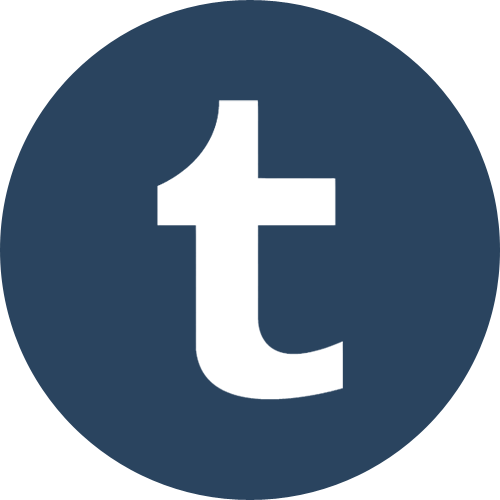 The organization, which was founded in 1982, has the goal of managing and preserving nature reserves, from wetlands to grasslands to vineyards, and more. The foundation currently owns more than 1000 hectares of land. 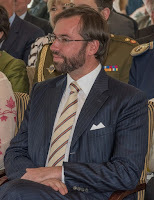 Grand Duke Henri has been patron since 2008. A little more information about the visit at Wort. Also, a video from RTL. Guillaume & Stéphanie: Seven(-ish) Days in the U.S. of A. The Ministry of the Economy today published a press release about the recent mission de prospection - still don't know a good translation for it - and here's a rough translation of what Hereditary Grand Duke Guillaume and Hereditary Grand Duchess Stéphanie have been up to during the past few days. The Hereditary Grand Duke, Minister Etienne Schneider and their delegation arrived in the United States of America on May 19, when they were received by Karen Peetz, president of BNY Mellon, which is investing in new technologies by creating a digital collaborative "open source" environment primarily targeted to the financial sector. 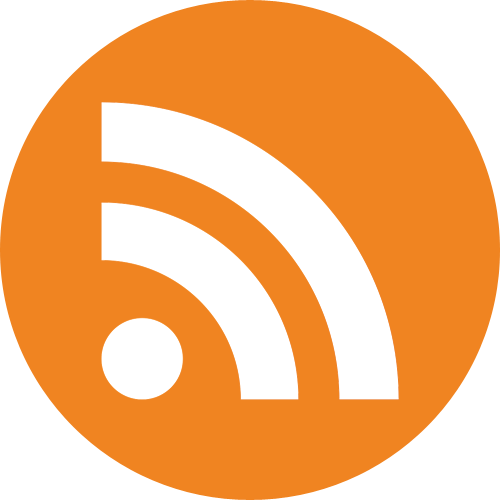 They later discussed the economic situation in its US, European and Luxembourg contexts at a luncheon with members of the Economic Club of New York and other senior executives. They also paid visits to Betworks incubator in New York and the headquarters of Major League Baseball (MLB) Advanced Media. The following day, the delegation including everyone's favourite Hereditary Grand Duke (ha, the advantages of coming from the world's only Grand Duchy!) visited Industry City in Brooklyn, a renovated former warehouse and home to startups, artists and restaurants. The companies visited included Ombligo, which is active in the circular economy. The company recycles or repairs servers and computers, enabling it to offer digital equipment at lower prices. 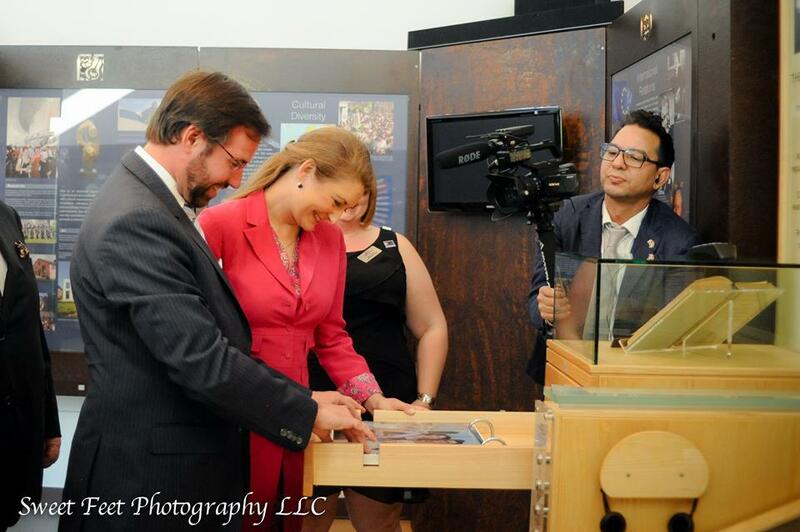 On May 22, Hereditary Grand Duke Guillaume and Minister Schneider made a fleeting visit to the Luxembourg American Cultural Center and the Roots & Leaves Museum in Belgium, Wisconsin. 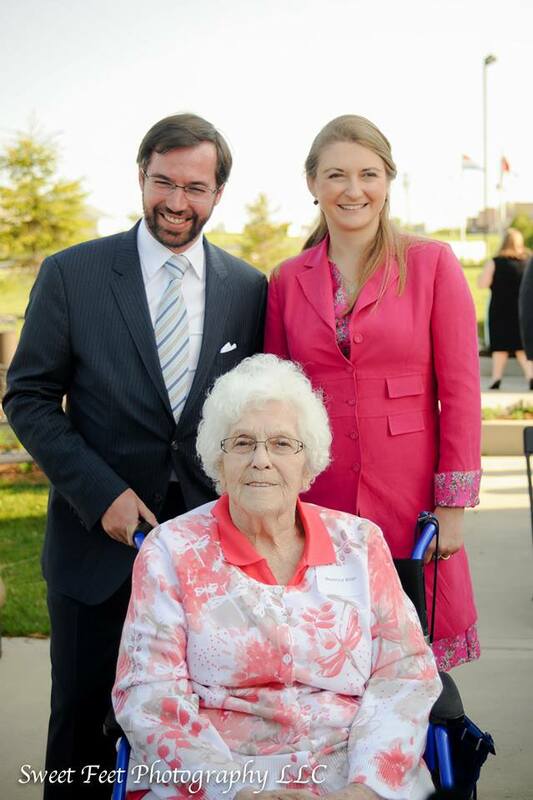 That day Hereditary Grand Duchess Stéphanie also joined the delegation. The next day, they were all back in New York City were they hosted a reception dedicated to the ICT sector, which was held at Luxembourg House. The event brought together members of the FEDIL business delegation with the leaders of some twenty US companies. May 24 saw a seminar on cyber-security and respect for privacy organised by Kaye Scholer LLP as well as Hereditary Grand Duke Guillaume, Hereditary Grand Duchess Stéphanie and Etienne Schneider having luncheon with Leonard levie, President of the Board of AIAC Group, owner of Eurofoil Luxembourg SA. 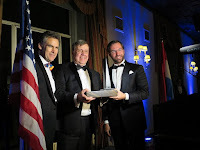 The climax of the second to last day in the U.S. was the Luxembourg-American Business Award. The mission promoting the Grand Duchy as a business place ended yesterday with a breakfast seminar organised by the Luxembourg Private Equity & Venture Capital Association (LPEA) as well as more food at a luncheon with representatives of Venture Capital Funds to promote Luxembourg a little more. 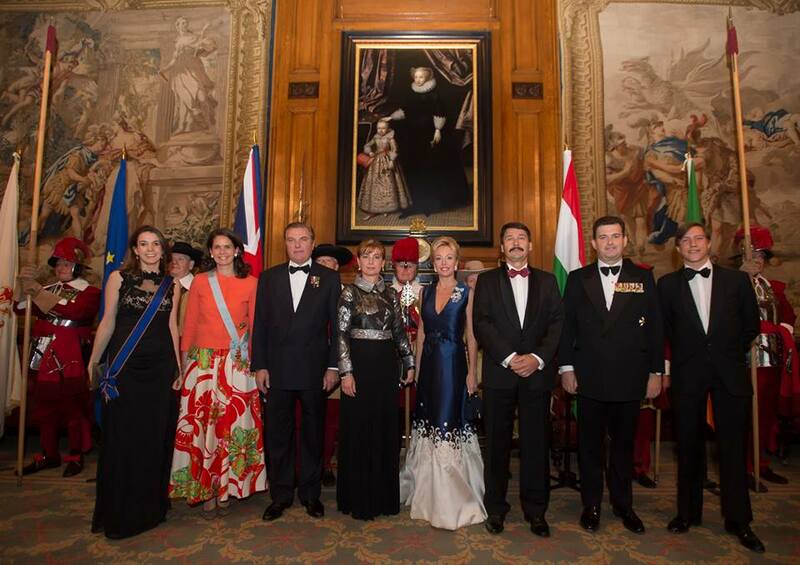 Prince Louis and Princess Tessy attended a banquet hosted by the Sacred Military Constantinian Order of Saint George in Great Britain and Ireland in honour of János Áder, President of the Republic of Hungary, at Drapers Hall last night. (Phew, long sentence!) 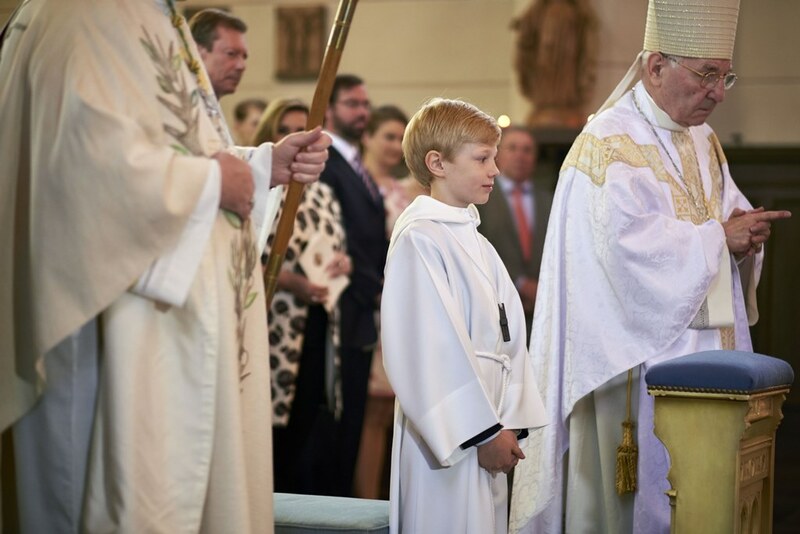 The event celebrated the return of a relic of Saint and Martyr Thomas à Becket from Hungary to the United Kingdom. 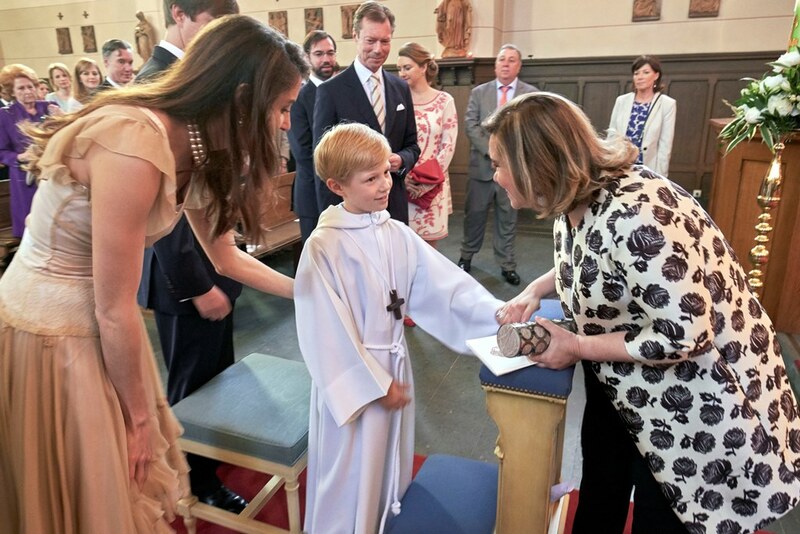 Looking particularly lovely, Princess Tessy sported the sash of the Order of Civil and Military Merit of Adolph of Nassau (though it should be worn over the other shoulder and the star is missing). Prince Louis, too, looked quite nice in his black tie though without any order (and thus no complaint from me). 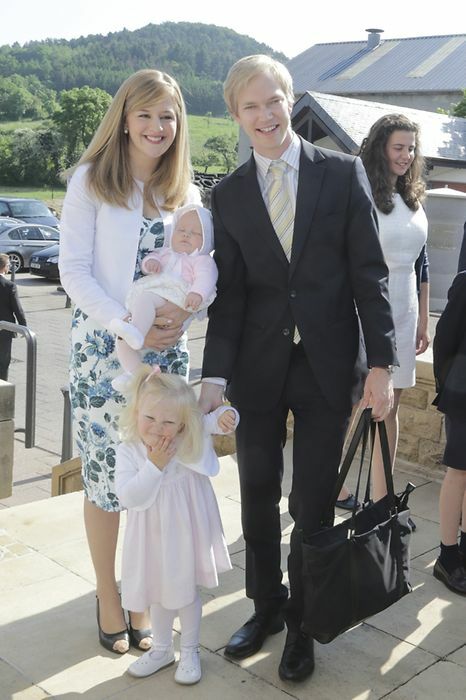 Prince Guillaume and Princess Stéphanie of #Luxembourg in the spotlight. Last night saw Hereditary Grand Duke Guillaume and Hereditary Grand Duchess Stéphanie attending the 8th Luxembourg-American Business Award at the New York Athletic Club. The couple is currently on a economic mission aimed at seeking out new sales leads and promoting the Grand Duchy on the U.S. East Coast. For previous posts on the mission de prospection, have a look here, here and here. The winner of this year's Business Award handed out by the Hereditary Grand Duke was Ampacet. The company, who also operates in Dudelange, Luxembourg, is a producer of plastics color and additive concentrates including slip agents, UV inhibitors, anti fogs and foaming agents. They operate 24 manufacturing sites in 17 countries around the world as well as four research and development centres. The event also included a gala dinner and entertainment. More visuals of the night at Tageblatt. Some more new from the United States: After visiting Wisconsin on Sunday, Hereditary Grand Duke Guillaume and Hereditary Grand Duchess Stéphanie have made their way to New York City. 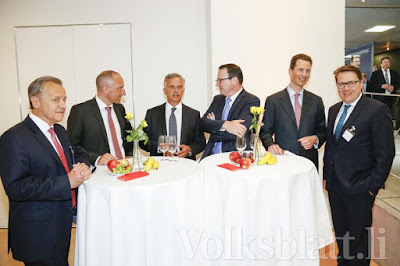 On Monday night, they hosted a delegation from the Luxembourg Business Federation's IT Community at a private reception at Luxembourg House together with Deputy Prime Minister Etienne Schneider and Consul General Jean-Claude Knebeler. The event saw technology advisor to the White House and now Sovereign advisory on financial media, real estate technology and fintech, David Drake, Chairman of LDJ Capital, discuss cryptocurrency, cyber security and cyber-physical strategies and policies for countries and nations. On Tuesday, Hereditary Princess Sophie was at Gasthaus Löwen in Bendern for the annual meeting of Caritas Liechtenstein. 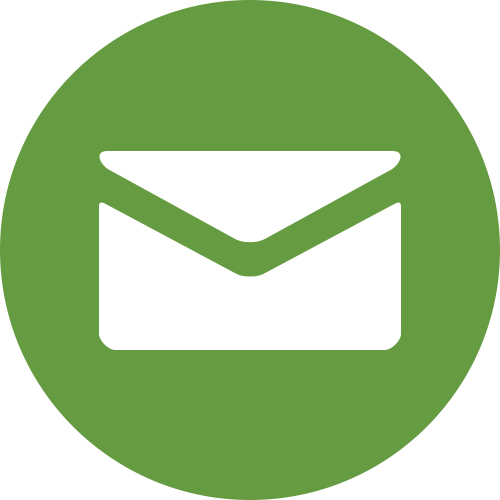 The organization provides financial support, including interest-free loans, to those facing severe money troubles. This support goes to those in Liechtenstein, but has also expanded to help those outside the country who struggle in the midst of ongoing political conflict. 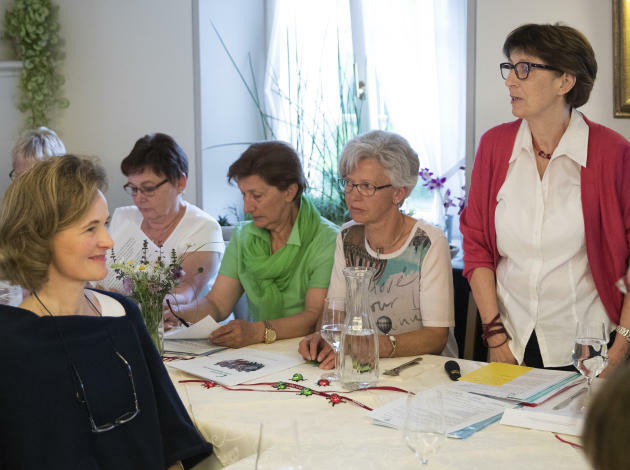 Within Liechtenstein, Caritas provides at least one contact person in each area to ensure that individuals within the principality can reach someone locally. A little more at Vaterland. Guillaume and Stéphanie Trace Luxembourg Roots in the U.S. In Belgium, the Hereditary Grand Duke and the Hereditary Grand Duchess visited the Grand Duke Henri Plaza as well as the Roots and Leaves Museum of the Cultural Centre following in the footsteps of Grand Duke Henri, Prince Félix, Prince Louis and Prince Sébastien who did so on a boys-only-and-no-Guillaume-trip in 2009. About yesterday's visit Hereditary Grand Duke Guillaume said, "Walking through your town raises an odd feeling inside of all of us. It's very strange, a feeling of deja vu, a sense of familiarity despite all being unknown." About 50,000 Luxembourgers left the Grand Duchy between 1850 and 1900 in search of a better life. 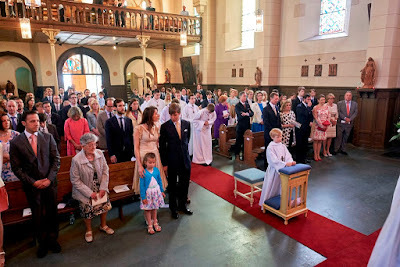 Interestingly, many of their descendants are now applying for dual citizenship and thus the Hereditary Grand Duke and Hereditary Grand Duchess met many fellow countrymen and -women yesterday. For more pictures and videos of the Wisconsin visit have a look at Sweet Feet Photography, Tageblatt, L'essentiel, WISN and Fox 6. 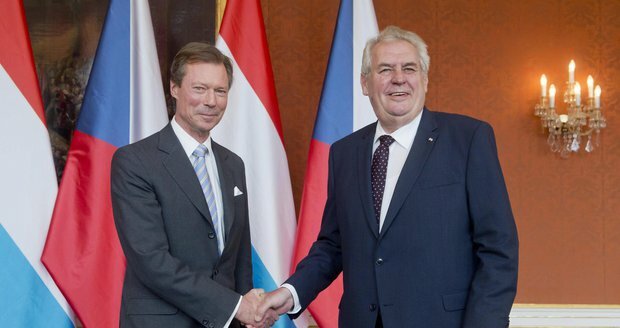 On Monday afternoon, Grand Duke Henri received in audience the Speakers of the EU Parliaments. These 36 dignitaries are currently meeting in Luxembourg for the Speakers Conference, which was organized by the Chambre des Députés and runs from the 22nd to the 24th. A few more photos on Flickr and a little more about the conference and its agenda here. Mark your calendars, there's a state visit (and hopefully tiaras) coming up! 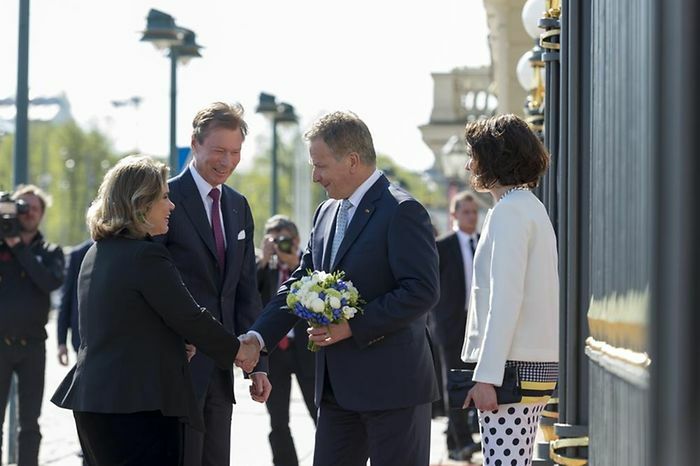 Between June 6 and 7, the President of Romania Klaus Iohannis and his wife Carmen will make a state visit to the Grand Duchy. 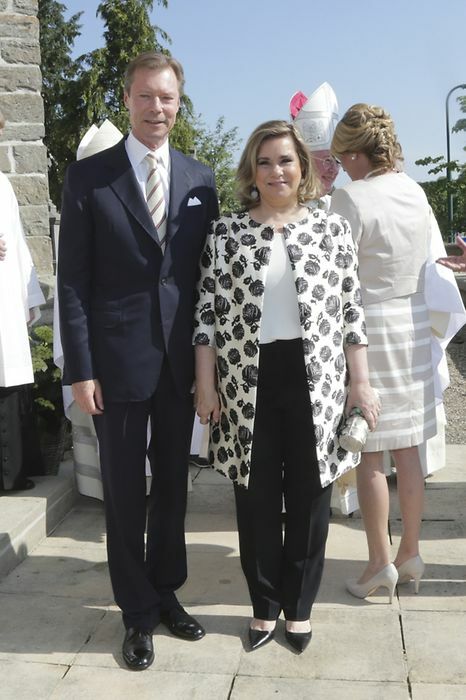 During their stay, they will be hosted by Grand Duke Henri and Grand Duchess Maria Teresa. 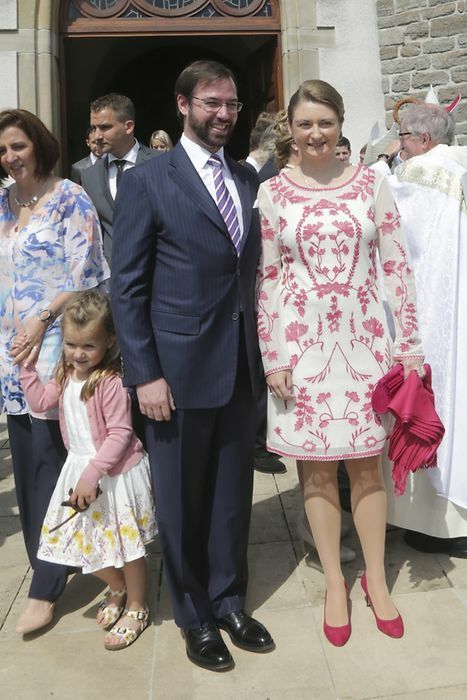 Usually a state visit to Luxembourg also brings of Hereditary Grand Duke Guillaume and Hereditary Grand Duchess Stéphanie for some of the events, if they are not otherwise occupied. 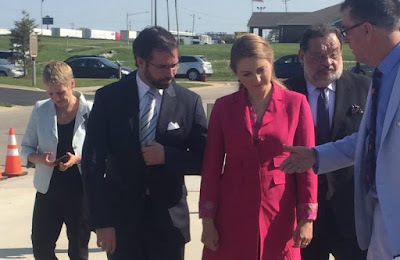 Did you know Hereditary Grand Duke Guillaume and Hereditary Grand Duchess Stéphanie have been in the United States on an economic mission for a few days now? You did not? You are forgiven considering that there are about zero visuals of them touring the U.S. However, their magic ability to avoid about any camera whatsoever is about to come to an end: The Hereditary Grand Duke and the Hereditary Grand Duchess arrived to Belgium, Wisconsin today. The town in Ozaukee County is the centre of the Luxembourgish migrant community in the United States and home of the Luxembourg-American cultural centre. Considering that there are about three local news reporters already on their track, we'll have plentiful to catch up with tomorrow. 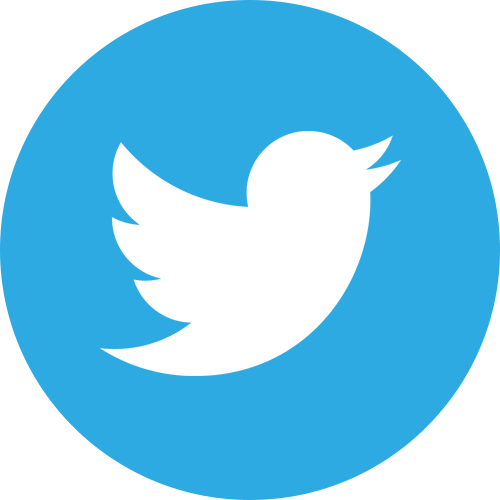 Until then, check out Jonah Kaplan of TMJ4 and Jenna Sachs of WITI Fox 6 on Twitter. Prince Hans-Adam sat down with Jonathan Price of the Clarion Review for an interview about the role of the small state and the opportunities for self-determinism in 21st-century Europe. The interview took place at the Oxford Union. 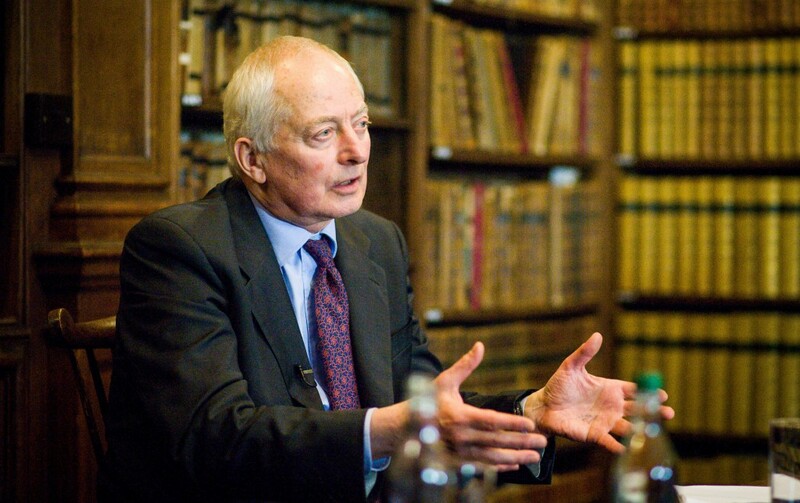 Within the interview, Prince Hans-Adam acknowledged "that large states are inevitable," but also noted the place of smaller nations, such as Liechtenstein, in bringing balance to the global conversation. The Prince also discussed his book The State in the Third Millennium and the importance of local governance for strengthening democracy. On Monday, Princess Tessy was one of the speakers at the Women, Wealth, Philanthropy conference, organized by the Global Legal Post in London. The event was part of the Luxury Law Summit and featured presentations on wealth creation and philanthropy in the 21st century and whether or not women have a different "style of giving," among other topics. A little more about the event here. The second day in the Czech Republic was all about a mass at St. Vitus Cathedral marking the 700th anniversary the birth of Holy Roman Emperor Charles IV of the House of Luxembourg. 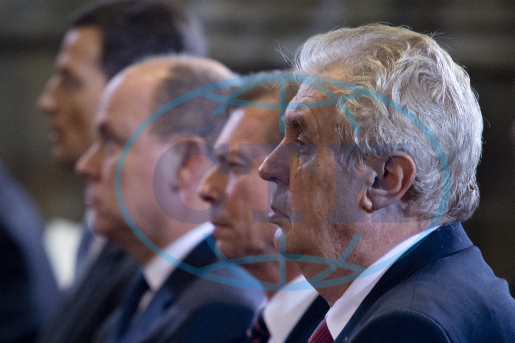 Grand Duke Henri and Hereditary Prince Alois were joined by Czech president Milos Zeman and Prince Albert II of Monaco for the event, which also saw the unveiling of an unusually long exhibition of the Czech crown jewels which can be seen from the May 15 to 29. 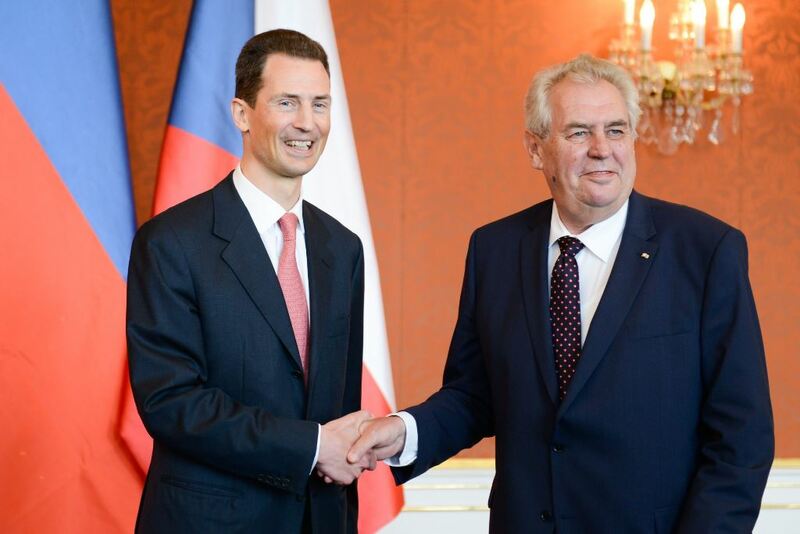 Pictures and videos are available on several Czech websites including Denik, TA 3 and iDNES. The Czech President met first with Grand Duke Henri and then with Hereditary Prince Alois, and finally with Prince Albert. The meeting itself was private, although photos were taken before the private conversation. For more about Day 1 in Prague, see the earlier Luxarazzi post, which discusses Grand Duke Henri's reception of the Charles IV award. 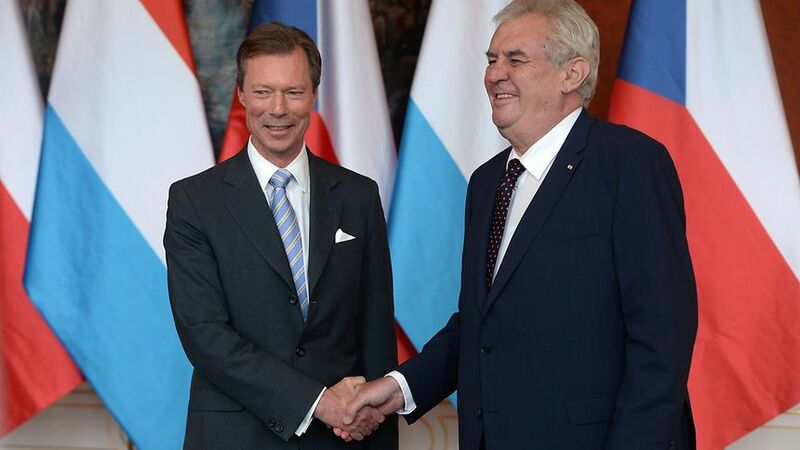 More about Day 2 here, including photos of Alois (and, later, with Albert) with President Zeman. Prince Luitpold of Liechtenstein, 76, passed away on May 11, in Judenburg, Austria, where he has lived and been active in philanthropic projects for many years. These projects include Simultania Liechtenstein and the Styrian Forest Association. He was born Prince Luitpold Rudolf Georg Hubertus, the elder child of Prince Aloys Géza Georg Hubert Maria and Hertha-Maria Gräfin Wolffskeel von Reichenberg. Prince Luitpold married twice (first to Ulrike Gräfin von Habsburg-Lothringe, and second to Edith Pelchen) and had two sons from his first marriage, Friedrich and Carl. He is survived by his younger son Carl and his wife Edith. 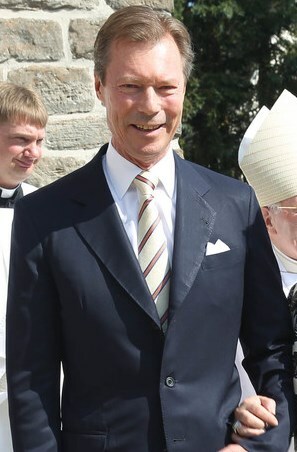 His great-great grandfather was Prince Eduard Franz of Liechtenstein, the 11th child and 5th son of Johann I Joseph, Prince of Liechtenstein. The service will be held on May 21 at the Church of St. Nicholas in Judenburg. 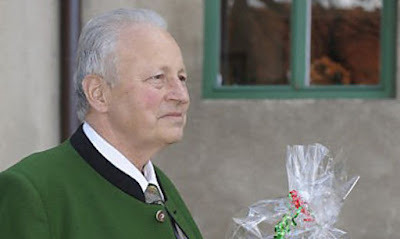 Prince Luitpold's widow has requested donations to Simultania Liechtenstein in lieu of flowers. 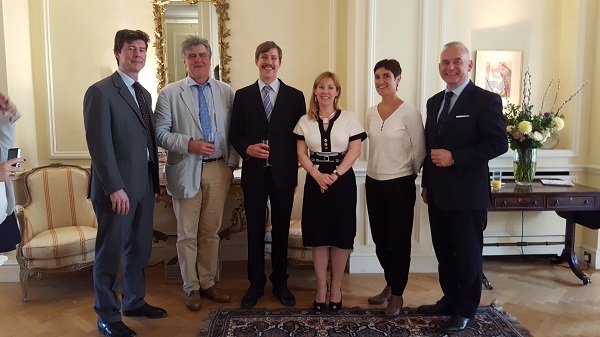 On Thursday, Prince Louis visited the residence of the Luxembourg Ambassador to the UK, Patrick Engelberg, for a literary evening in celebration of crime writing. The special guests for the event were authors Ruth Dugdall (Nowhere Girl) and Daniel Pembrey (The Candidate). Both featured Luxembourg as the setting in their novels. Around 50 people attended the event, which also included a charity auction. A little more at Chronicle. Prince Alexander Pavlov Karadjordjevic died at the age of 91 in Paris on Thursday morning, May 12. The Yugoslavian prince was the husband of Princess Barbara of Liechtenstein, a cousin of Prince Hans-Adam II. Born on August 13, 1924, Prince Alexander was the son of Prince Paul of Yugoslavia and Princess Olga of Greece and Denmark. 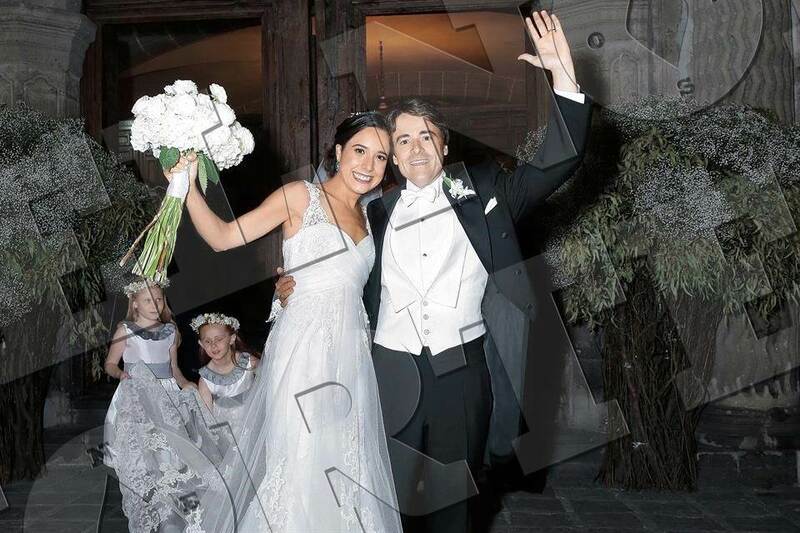 He was firstly married to Princess Maria-Pia of Savoy, four children come from his first marriage. He secondly married Princess Barbara in 1973, the couple share a son, Prince Dušan; all three of them are pictured on the right. On Thursday at Vaduz Castle, Hereditary Prince Alois honored Dieter Meier as Princely Medizinalrat, or Princely Medical Officer. 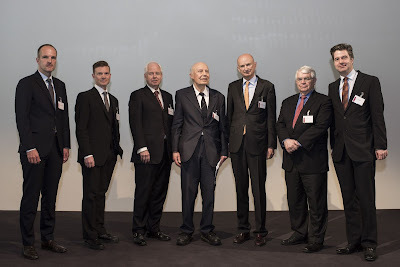 Meier was awarded for his long-time contributions to the health and social care system. The Hereditary Prince performed the title ceremony on behalf of Prince Hans-Adam. The second day of the Luxembourg state visit to Finland saw Grand Duke Henri and Grand Duchess Maria Teresa at Finlandia Hall, where the Grand Duke delivered a speech at an economic seminar. The event was organized jointly by the Finnish and Luxembourg Chambers of Commerce, along with Luxembourg for Finance and the Export Promotion Agency of Finland (FinPro). 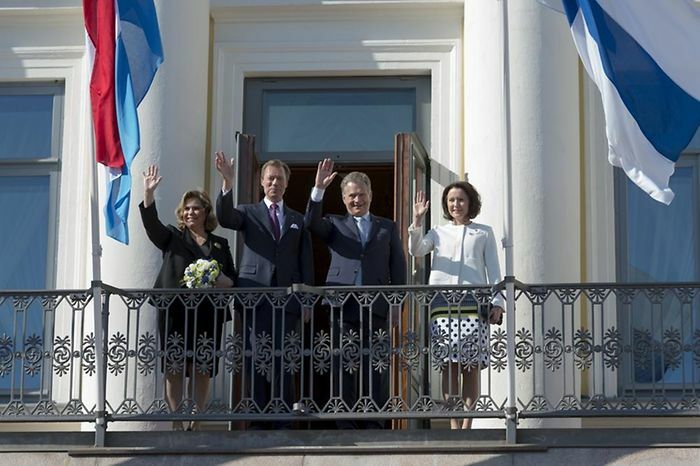 After this, the Luxembourg delegation met with President Niinistö and other Finnish ministers, and later with the Harry Bogomoloff, Mayor of Helsinki. Additionally, Grand Duke Henri received the Helsinki Medal of Honor, and to close out the day the Grand Duke and Grand Duchess laid a wreath at the Heroes Cross and at the grave of Marshal Mannerheim at Hietaniemi Cemetery. More from Wort and Chronicle. In addition to the other events on Day 2, the Grand Ducal couple also attended a reception on Wednesday evening. This was held just after a concert featuring musicians from Luxembourg. Photos of the reception and concert at Wort (somewhat confusingly with an article about the university visit on Day 3). 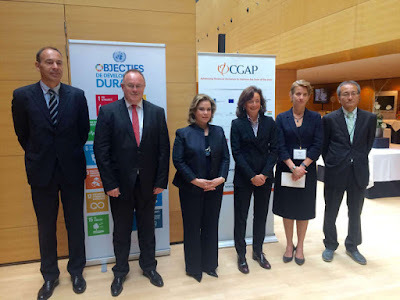 On Tuesday morning, before going to Finland, Grand Duchess Maria Teresa a meeting for CGAP (Consultative Group to Assist the Poor), which highlighted opportunities for inclusive finance. The meeting brings together 80 individuals from various government and non-government organizations, to focus on opportunities for providing financial assistance to those who face poverty. In particular, Grand Duchess Maria Teresa spoke about bringing financial improvement to the approximately 2 billion people worldwide with limited banking options. She said (from translation): "Everyone should have access to basic financial services...We have the tools to fight financial exclusion. We have the will. Also, do not avert our eyes from our objectives until the job is done." Along with the United Nations, CGAP supports the objective of eliminating world poverty by 2030. Guillaume and Stéphanie Launch "De mains de Maître"
Hereditary Grand Duke Guillaume and Hereditary Grand Duchess Stéphanie, together with the Chamber of Trade and the Ministries of Economy and Culture, launched the exhibition De mains de Maître (Master's Hands) to discover talented young craftsmen and art designers from Luxembourg. The exhibition will be held between December 1 and 5, 2016. With the exhibition, the Hereditary Grand Duke and Hereditary Grand Duchess join a long list of members of the Grand Ducal Family who have supported the Grand Duchy's craftsmen and artists beginning with Grand Duchess Charlotte. A lot more information about the initiative is available on the website of the cour. From time to time, it happens that the Grand Ducal Family is mistakingly identified as the "House of Luxembourg" when, of course, they are Nassau-Weilburgs. This confusion might be because there actually was a very noble house by the name of Luxembourg, some centuries ago. With Grand Duke Henri's travels to Prague coming up soon, we thought it would be a good time as any to have a look at the medieval House of Luxembourg. 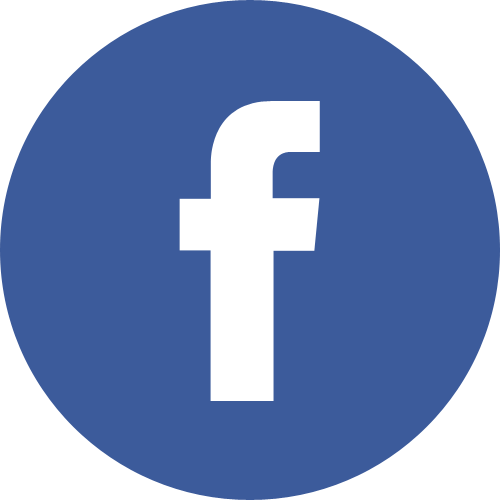 While the best known members of the House actually lived many years later, their history begins with the House of Limburg-Arlon, which they are a cadet branch of. They even claimed to be of descent of the water spirit Melusine through a connection to the earlier Siegfried, Count of the Ardennes and the first recognized ruler of Luxembourg. 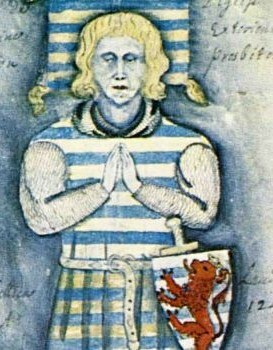 Henry, or Henri, the son of Waleran III, Duke of Limburg, inherited the title "Count of Luxembourg" in 1247. Henry was Waleran's third son (and sixth child), but he was the eldest son by Waleran's second marriage to Countess Ermesinde of Luxembourg, the heir of Henry IV, Count of Luxembourg. Henry IV was himself of the House of Namur, but he descended from an earlier House of Luxembourg, ruling from the 10th century, on his mother's Ardenne-Verdun side. Waleran ruled alongside Ermesinde with the Luxembourg title, but then she went on to rule Luxembourg by herself for around 20 years, passing the Count of Luxembourg title to her eldest son Henry, who became Count Henry V of Luxembourg (known as "Henry the Blond"). Henry's eldest son inherited the Count of Luxembourg title to become Henry VI, but he and his brother Waleran (Count of Ligny and Roussy) would both die 7 years later in the Battle of Worringen, fought for the control of Limburg. Henry VI's son would assume the title of Henry VII. This particular Henry, as it happens, went on to gain where his predecessors had lost. He married Margaret of Brabant, the daughter of John I, Duke of Brabant (who, as it turns out, had killed his father and uncle during the Battle of Worringen). This marriage was intended to smooth over the political problems arising from the dispute over Limburg, but it also seems to have been a happy union. Margaret can hardly have been disappointed when her husband, the Count of Luxembourg, was elevated to the position of Roman-German King (or King of the Romans), in 1308. Alas, she didn't live quite long enough to see him gain the title of Holy Roman Emperor in 1312. 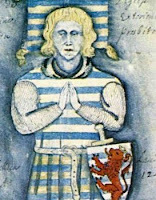 Henry VII and Margaret's eldest son John (known as "the Blind") inherited the Luxembourg title and would go on to achieve his own fame as King of Bohemia as a result of his marriage to Elisabeth, the daughter of King Wenceslaus II of Bohemia. We've explored John the Blind further in earlier Luxarazzi 101 post. 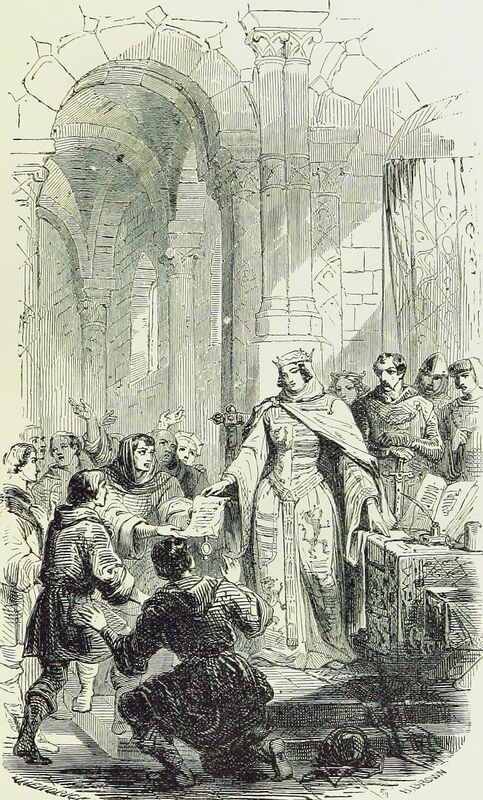 As it happens, John the Blind would not succeed his father as Holy Roman Emperor, as the Electors found the House of Luxembourg's rising star to be something of a concern. They could not keep the Luxembourg counts from glory, however, as John's son Charles (born Wenceslaus) would become King of Bohemia in 1346, and assume the title Holy Roman Emperor Charles IV in 1355. He would also become King of Italy in 1355 and King of Burgundy in 1365. Of course, he held the title of Count of Luxembourg as well. Charles IV is remembered primarily for the Golden Bull of 1356, which established the structure and succession of the Holy Roman Empire for the next 400 years. 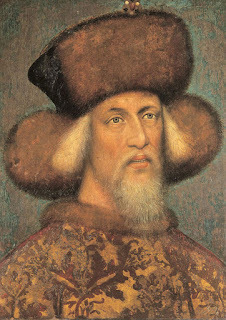 Additionally, he is credited with ushering in the Golden Age of Bohemia, which lasted until his death in 1378. Charles married four times, producing more than 10 children. His son Wenceslaus would become King of Bohemia and King of the Romans, but was deposed due to political disagreements. Charles's daughter Anne went on to marry the unfortunate King Richard II of England. 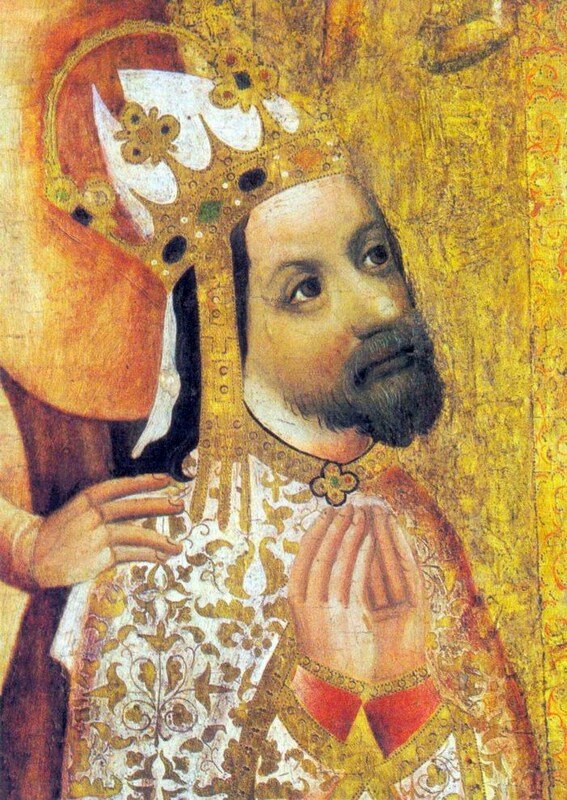 Charles's younger son Sigismund would assume his brother's title as King of Bohemia, as well as King of Hungary, Italy, and Croatia, and Roman-German King; and he was elected to Holy Roman Emperor in 1433. He was also known as the "ginger fox" because of his red hair. Photo: Sigismund, the "Ginger Fox"
Despite rising in lofty titles, Sigismund is typically identified as the last male member of the House of Luxembourg: he left no male heirs, but rather a daughter Elizabeth who would be forced to take second place as consort while her husband (the Habsburg Archduke Albert V of Austria, also known as Albert II, Duke of Luxembourg) was elevated to the ruling role in her inherited titles. Her son Ladislaus was born shortly after Albert's death and spent the majority of his 17 years fighting for titles he would not hold for long. Meanwhile back in Luxembourg, the title of Count of Luxembourg underwent some evolution. Sigismund's younger brother John became the first and only Duke of Görlitz. He failed to produce a son and was possibly poisoned when he was only 25. (No doubt, he was not the most popular figure given his role in expelling the Jewish residents from Görlitz). John did, however, leave a daughter, Elisabeth, who became the Duchess Regnant of Luxembourg between the years 1411 and 1443. Luxembourg, as it turns out, had been mortgaged to her by her uncle Sigismund, after he found himself in debt, and she assumed rightful control. She would also find herself in debt in later years, and made an agreement in 1441 with Philip III, Duke of Burgundy, to take over the Duchy after her death. Philip apparently couldn't wait that long as in 1443 he invaded and assumed control, sending Elisabeth out of Luxembourg permanently. Ultimately, the Habsburg family would be recognized as heirs in Luxembourg, and they would retain that hold until Empress Maria Teresa's death in 1780. After Sigismund, there was a recognition under the Salic Law that the succession could pass to the cadet Ligny branch, but that branch, headed by Louis de Luxembourg (also Count of Saint-Pol), ended when he was executed for treason by the King of France. Other members of the House of Luxembourg were politically ambitious, if not able to hold the primary title. Louis de Luxembourg's sister Jacquetta went on to become the mother of Elizabeth Woodville, later the wife of King Edward IV of England and the mother of Edward V (and his brother Richard, the famed Princes in the Tower). Elizabeth Woodville was also the mother of Elizabeth of York, who would marry Henry Tudor (later King Henry VII) and become the mother of King Henry VIII. Additionally, Louis de Luxembourg's uncle John II of Luxembourg, also Count de Ligny, is remembered for his alliance with the English during the Hundred Years' War. He held Joan of Arc as prisoner and later sold her to the English who had her executed. His death in 1441 transferred the Ligny and Saint-Pol titles to his nephew who held them until his execution in 1475.